You flick through a glossy magazine or any social media platform and there are before and after photos GALORE! My customers have told me so many times, they simply don’t believe them. And why would you? Most of the pictures are of teenagers… okay 20 somethings and all they need to do are get some exercise and they will transform their bodies. At the more experienced age of 35+, it ain’t so easy. You can’t compare what you did in your 20s to the way your body is now. It is like comparing apples and oranges. 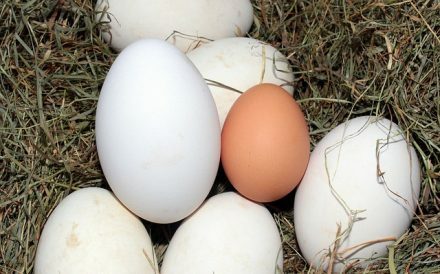 Or the hen egg amongst the goose eggs. You have to make adaptations to get the best results for your body right now. Comparing ourselves to pictures in glossy magazines or on Instagram ain’t going to work for the over 40s. I am not saying that you don’t feel 20. I certainly do, in fact I have more energy now than I ever did in my 20s or even my 30s. My body is physically fit, my mind is clear I am not hung up on the size of my bum. Even if you have had a moderate diet with a few ups and downs you simply can’t do the same things you have been doing, it doesn’t work anymore. When you are younger you can eat a bag of chips and go straight into an aerobics class and you will lose or maintain your cute little figure. Okay maybe not me, but I did hear girls saying that in my 20s from other girls. Unfortunately, you can’t do that anymore, you simply can’t exercise away a bad diet. When you are a younger exercise is a transaction. However in your 40s exercise is more holistic, there is a shift. You can’t exercise in the same way or for the same reasons. Your motivations are different, your mindset is different. Not only do you approach to exercise in a different way you also need to approach your diet in a different way. By making simple changes, over time you will make a huge transformation. Start to be mindful of your sugar consumption because it has a big effect on your hormones which you want to balance. Most people when they think of insulin will think of diabetes and sugar. Sugar is defo part of the picture! Insulin is the hormone in charge of how you get your energy from the food you eat. Your body runs on glucose. When working efficiently insulin takes glucose from what you eat, turns it into glycogen and stores it in the cells of the liver and muscles, until it is needed by your body and then broken down as fuel. Your gorgeous body can only hold a small amount of glycogen. If you eat too much of it then insulin turns from fat burning hormone to fat storage hormone. So instead of using the fuel (mainly from carbohydrates) your body stores it in your liver, waistline, bum etc! And you end up gaining weight even if you are not eating masses of calories. Drinking a fizzy can during or after a workout is pointless. You are not working hard you are simply adding more plumpness to your bum. You simply need water and electrolytes. Join my water challenge to find out more about that one. You are consuming large amounts of carbohydrates – pasta, bread etc – are contributing the problem. Your body digests carbs far quicker than protein and fats. Eating carbs give you a high and low all day, leaving your exhausted and your blood sugars dropping. You will get hungry, crave sugar and eat more carbs. It is a vicious cycle. Insulin also works hand in hand with the other hormones – it leads to estrogen dominance, high levels of testosterone, and works with leptin (the hunger hormone). So if you can balance your insulin your whole system will work much more efficiently. 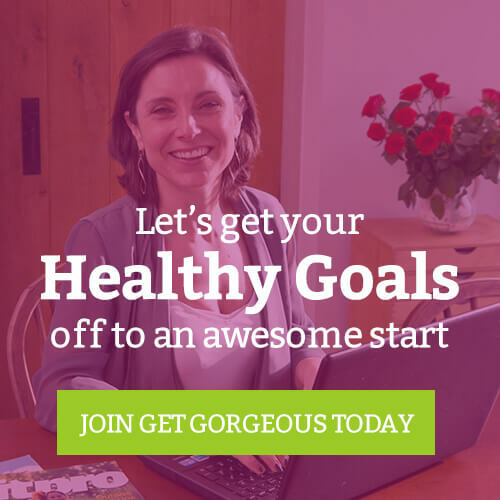 It isn’t complicated it is easy, step by step, module by module I help you through your journey of self-love, healthy eating and looking after yourself with your personalised Get Gorgeous plan. PS. find me on youtube and you will automatically receive the most recent Pilates and Gorgeous Cardio workouts plus my VLOGS on nutrition and food – click here to find my channel and press the SUBSCRIBE button on youtube. I feel like I should know that I can’t compare myself to a 20 year old but in my head I think I’m still in my 20s, not approaching 40 – thanks for the reminder! I think we all need to be less hard and critical of ourselves. ?